Don’t be surprised if Naruto’s son got his own anime TV series. I won’t be. The homepage for the upcoming Jump Special Anime Festa was updated with listings for 上映アニメ (jyouei anime) or “screening anime” during the festival. The tagline reads, “Watch next-generation ninja! 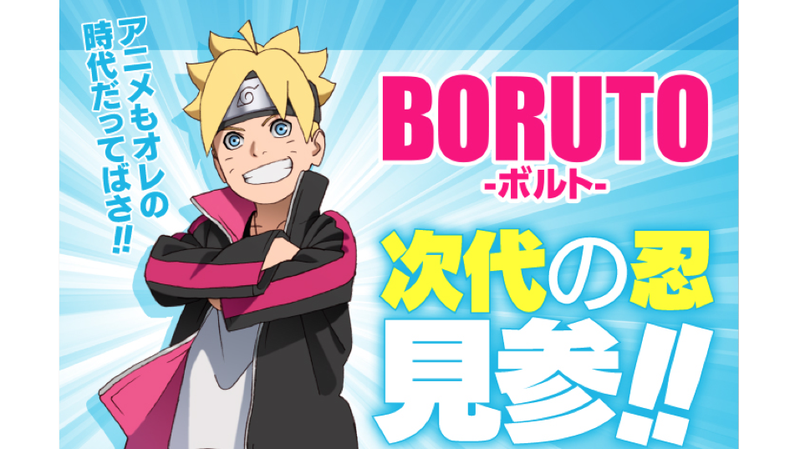 !” (次代の忍見参!！), with Boruto also saying that anime was also his generation. This isn’t yet confirmation, but seeing how the character already got a feature film and now has a manga, an announcement for a TV anime, which this is not, does make sense and seems inevitable.